Greeters hand out announcements for the week. The service begins with a time of singing led by the praise band and traditional hymns. The praise band includes a combination of piano, guitars, drums, bass, violin, mandolin, and singers. Traditional hymns are played on the organ and anthems are sung by the choir. Liturgy is printed in the bulletin to be read responsively as part of worship. Praise songs will be on the screen. Sunday school classes for preschool – 6th grade meet at this time. The adult bible study meets in the parlor and includes a discussion-based study led by Pastor Doug. Fellowship is a time to get to know others in The Federated Church and strengthen relationships with the people you already know. Coffee, juice, water or tea; and cookies or crackers are available downstairs in the fellowship hall. Occasional cross+generational Sunday school classes are held in the fellowship hall. Everyone is invited to participate in these times of connecting with one another, having caring conversations, and growing in faith together across generations. Communion is celebrated together every first Sunday of the month. 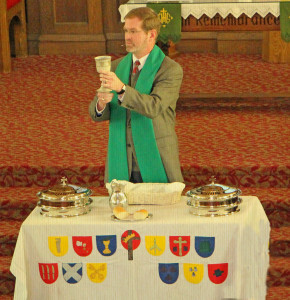 At the contemporary service, the congregation is invited to come forward via the center aisle and take a piece of bread and a communion cup. At the traditional service, the congregation remains seated and is served by the Deacons and Elders. The Caring Ministry and Outreach Committee provides name tags as you enter the narthex to provide another way for people to be refreshed on each other’s names. 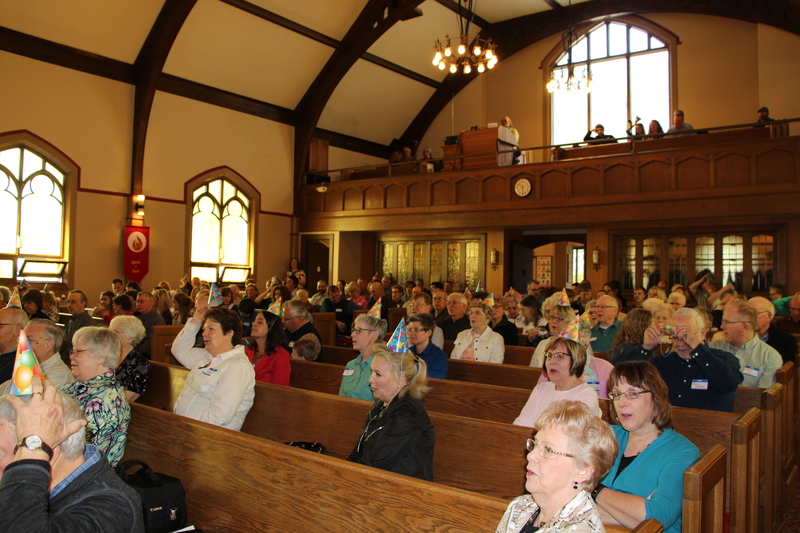 “First Sundays”, a program lead by Pastor Doug, cites and discusses themes of the Bible. The participants choose the themes for each year. 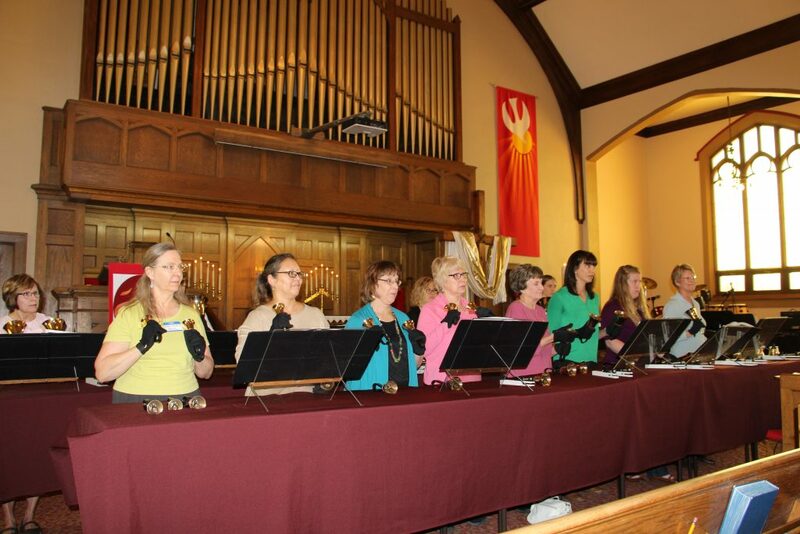 The Federated Church Bell Choir plays one Sunday a month during the 11am worship service. The nursery space is available during the 9am service for parents to sit with their children, and is staffed with volunteers during the 11am service. The Narthex is also available and provides a comfortable space for parents to be with their children while still being able to see and hear the worship service. Activities for young children are available in the Narthex. The Federated Church provides curbside assistance, if needed, and has wheelchairs available. The elevator is accessible from the main level, and opens to all three levels. Several of our pews have been modified to accommodate wheelchairs and walking assists. We also have “Hearing Boosters” and large print Bibles. Federated has a parking lot and side street parking. 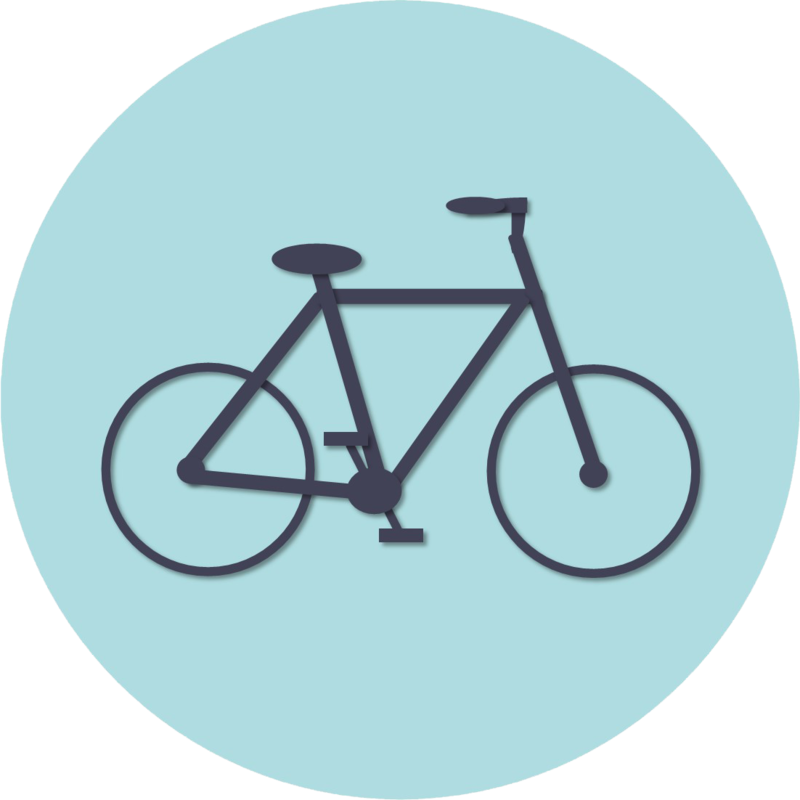 Outdoor bike parking is also available. Why So Cast Down? Hope In God!